When a girl becomes a woman is a time for celebration, and though there are no formal rituals in our society, mothers might very well wish to create some. This is usually a difficult time in the life of a young woman, both emotionally and physically. Those raging hormones can create havoc: acne and other skin problems, mood swings, and painful menstruation. The liver and the endocrine glands are the parts of the body that need pampering at this time of life to achieve hormonal balance. The necessary building blocks of the hormones are manufactured by the liver. The liver is also the master detoxifier, responsible for removing toxic substances from the bloodstream. Toxins are produced by our own metabolism and also absorbed from the environment. If the liver is not functioning properly, it can cause all kinds of difficulties-painful menstruation, heavy bleeding, low energy, acne, allergies, and general poor health. The endocrine glands are situated in various parts of the body. They are comprised of the pituitary gland, thyroid and parathyroid, pancreas, adrenal glands, and the ovaries. They release their hormones into the bloodstream. These send messages to the other organs influencing every activity of our body. Problems arise when there are abrupt fluctuations in hormone levels. Astragalus (Astragalus membranaceus, Chinese herb belonging to the vetch family) This is a tonic herb that builds and strengthens the entire system and gives energy to the internal organs. Though not specifically indicated for the liver and adrenals, it is recommended for those under 35 years old. Dandelion Root (Taraxacum officinale) Detoxifies and nourishes the liver. The leaves are also recommended in salads. Nettle Leaf (Urtica dioica) It is extremely high in minerals, especially iron and calcium. 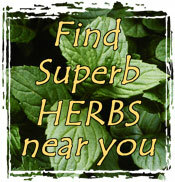 It is an excellent liver cleanser and endocrine tonic. It has mild diuretic properties that help alleviate bloating and mood swings during the menstrual cycle. Oregon Grape Root (Mahonia repens and Berberis aquifolium) Good for liver sluggishness and stimulates bile production. It helps digest fats. Combined with dandelion root, it helps treat acne and skin disorders. Combined with dong quai and ginger, it stimulates hormone production. Pau d'arco (Tabebuia impetiginosa) An aid to the health of the liver and endocrine glands. Look for organic or woods-grown. It comes from the rainforest, and like other herbs from Third World countries, it may be heavily contaminated with pesticides. Beware. Seaweed (hizike, kelp, arame) Seaweeds are exceptionally high in minerals and are considered some of the best foods for nourishing the endocrine glands. Macrobiotic cookbooks will have recipes for seaweed. If you choose not to go that route, you can always take seaweed in capsule form. Wild Yam (Dioscorea villosa) Contains important hormone building blocks, especially of progesterone. It is an important herb for the health of liver and endocrine glands. Yellow Dock Root (Rumex crispus) Rich in minerals, especially iron. It is one of the best liver detoxifiers and cleansers and is beneficial to those suffering from stubborn skin problems.